A full list of equipment recommended for athletes for events can be found here. Click here to obtain the Clothing order form. Once completed, please hand it to your Team Manager. one form please for each athlete.These need to be paid for at the time of order. 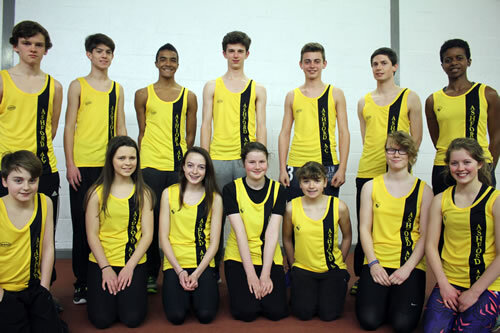 The club’s kit colour is a yellow vest with one VERTICAL black stripe printed with Ashford A.C. in yellow, to accompany a pair of black running shorts. April 2014 - New Kit!